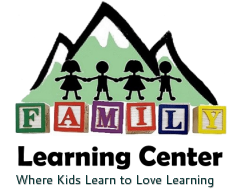 To enroll a child at the Family Learning Center, a child must be placed on the Wait List. There is no fee for placing a child's name on the wait list. When the child reaches the top of the wait list, which is determined by the date the child was signed up and there is availability within the appropriate age group, we will call to offer you a spot. We require a response within 48 hours. Enrollment must begin within 2 weeks of when you are offered the space. If you do not respond, your name will be removed from our list.